Pod Volunteer has won Volunteering Company of the Year in the iStudy Awards 2018/19. Our Marine Conservation project in Thailand received an award in the Outstanding Volunteer Project category at the Global Youth Travel Awards. British Youth Travel Awards – Pod Volunteer has won the award for Best Volunteering Organisation of 2017! We also won in 2015 and were a finalist in 2014. Our community projects in Ghana received an award in the Outstanding Volunteer Project category at the Global Youth Travel Awards. 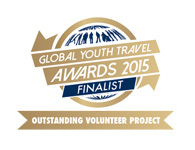 British Youth Travel Awards – Pod Volunteer has won the award for Best Volunteering Organisation of 2015! 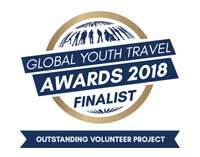 British Youth Travel Awards – Pod Volunteer has won a finalist award in the Best Volunteering Organisation 2014 category. 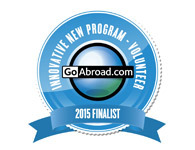 Our Creative Arts project in Nepal has been selected by GoAbroad as a finalist in the category of Innovative New Program – Volunteer. 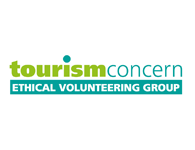 Tourism Concern works for ethical and fairly traded tourism and has created an Ethical Volunteering Group of which we are a member. 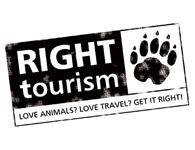 We have pledged to work with Right Tourism, an organisation which helps people to stay animal-friendly whilst travelling. 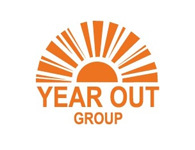 We are a member of Year Out Group, an association of leading gap year providers who are subjected to a rigorous membership process and must maintain the agreed standards. 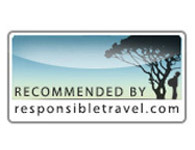 We are a member of Responsible Travel, the leading platform fortour operators committed to responsible tourism. All members are vetted and need to provide evidence of responsible tourism. 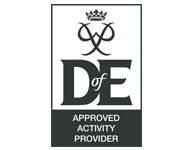 Pod Volunteer is an Approved Activity Provider for the Duke of Edinburgh’s Award which is the world’s leading achievement award for young people, delivered under special licence by partners. 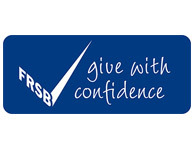 The FRSB helps the public raise any concerns about fundraising and supports charities, including the Pod Charity, in being accountable for their fundraising. 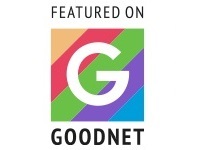 Goodnet has featured us in their "10 Incredible Volunteer Abroad Organizations You Should Know". The Foreign and Commonwealth Office’s (FCO) Travel Aware campaign is designed to help travellers stay safe and healthy abroad. 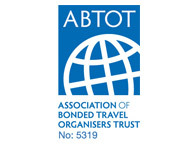 The Association of Bonded Travel Organisers Trust Limited (ABTOT) provides financial protection for our customer prepayments, satisfying obligations under the Package Travel Regulations. Banner Insurance is one of the UK’s leading providers of specific travel insurance to mission and aid workers, insuring personnel from over 480 organisations including Pod Volunteer. Virgin Money Giving is a not-for-profit online fundraising service that we use for fundraising to support the projects we work with through the Pod Charity. LRTT is a specialist provider of teaching courses to assist our volunteers undertaking education placements. FairFX is a specialist financial company, providing market leading pre-paid currency cards for our volunteers. We work with an ATOL bonded travel agent called StudentUniverse to organise flights and tours for our volunteers.